Apparel Report: In the second quarter of 2017, global yarn production rose by 11 per cent. It increased in Asia, Europe, and Brazil and slightly declined in the US. The growth drivers are: Asia and Brazil with their respective 12 per cent and 11 per cent increases. Yarn production decreased by 10 per cent in the US and by 18 per cent in Africa since the first quarter of 2017. Global fabric production improved by almost nine per cent in the second quarter of 2017, with the most significant increase in Brazil, Asia, and Africa (10.4 per cent, 9.8 per cent and 9.2 per cent respectively). The output in the US and Europe remained stable. The situation has improved compared to the same period last year, with an increase of global fabric output of almost four per cent. 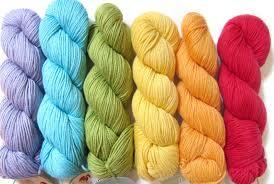 Global yarn stocks have also improved compared to the same quarter a year earlier. Global yarn orders have fallen in all regions in the second quarter of 2017. Worldwide fabric stocks increased a little, with the most significant change observed in Brazil for the second quarter in a row. Asian and European fabric orders remained stable and rose in Brazil and Africa. In comparison to the second quarter of last year, Asian and Brazilian fabric orders declined significantly, while they slightly increased in Europe and Africa.